With technology progressing day by day, now we have a new addition every day. Recently DISPLAX, a portugal based company has started mrketing about there latest futuristic project i.e. Multitouch screen.It can be applied on any non-metal surface. 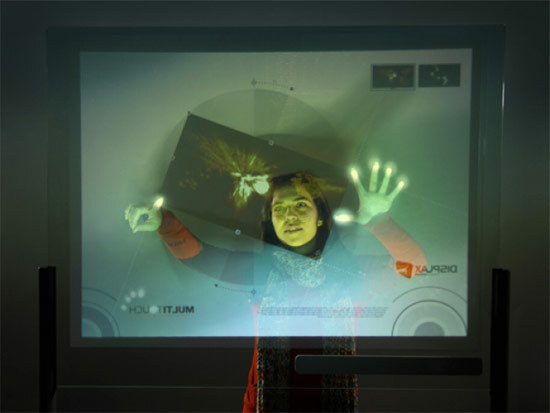 DISPLAX multitouch technology converts any non-conducting surface into an interactive multitouch surface. 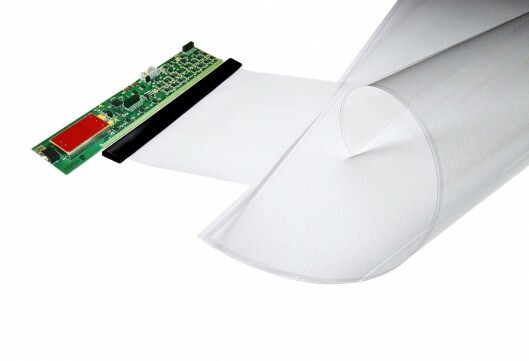 The skin is actually made up of thinner than paper polymer film. It can be stuck on or below a glass,plastic or wood with a thickness under 15mm, So that it can now respond to touch and airflow. It can detect upto 16 fingers simultaneously on a 50 inch screen. Can be applied on transparent surface also and it doesnot hinder the display also. It can detect air-movement by measuring the intensity and direction of air flow. It has an array of nanowiress embedded in the film which recognizes your digits or pointed breadth, and it then passes information along to a microcontroller and software suite that transforms the inputs into reactions on your system. Each time a finger is placed on the screen or a user blows onto the surface, a small electrical disturbance is detected allowing the micro-processor controller to pinpoint the movement or direction to the air flow. 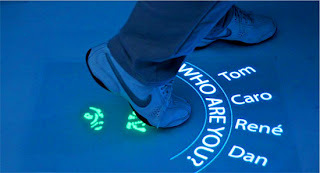 Hardware that it contains is Multitouch controller and nanowired polymer film. In softwares it has firmwares,softwares and control panel. It's light weight (300g). Hence easily portable and easy to install. After all this one can easily think of the changes and add ons this technology can bring to today's world. Imagine a shop fully touch screen showing you displays and menus to buy items and also displaying advertisements. It can be helpful in the field of telecoms etc. The company says that the technology will also be available for LCD manufacturers, audiovisual integrators and gaming platforms. This technology will be another big break through. Eagerly waiting for it. Might get launched in the latter half of 2011. What are your views on this new technology?